To assess the pattern and probable risk factors for moderate and major drug–drug interactions in a referral hematology–oncology ward in Iran. All patients admitted to hematology–oncology ward of Dr. Shariati Hospital during a 6-month period and received at least two anti-cancer or non-anti-cancer medications simultaneously were included. All being scheduled anti-cancer and non-anti-cancer medications both prescribed and administered during ward stay were considered for drug–drug interaction screening by Lexi-Interact On-Desktop software. One hundred and eighty-five drug–drug interactions with moderate or major severity were detected from 83 patients. Most of drug–drug interactions (69.73 %) were classified as pharmacokinetics. Fluconazole (25.95 %) was the most commonly offending medication in drug–drug interactions. Interaction of sulfamethoxazole-trimethoprim with fluconazole was the most common drug–drug interaction (27.27 %). 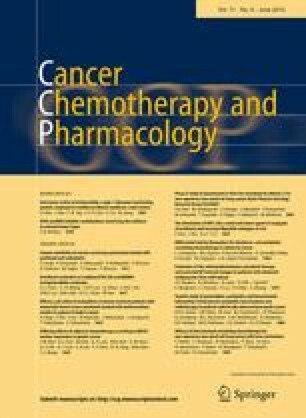 Vincristine with imatinib was the only identified interaction between two anti-cancer agents. The number of administered medications during ward stay was considered as an independent risk factor for developing a drug–drug interaction. Potential moderate or major drug–drug interactions occur frequently in patients with hematological malignancies or related diseases. Performing larger standard studies are required to assess the real clinical and economical effects of drug–drug interactions on patients with hematological and non-hematological malignancies.